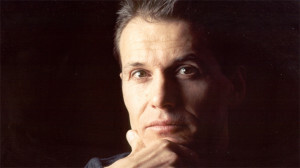 Composer, researcher and professor Marco Stroppa was born in Verona in 1959. He undertook a range of musical studies – piano, choral music and choir conducting, composition and electronic music – and also studied computer music, cognitive psychology and artificial intelligence at the Media Laboratory of the Massachusetts Institute of Technology on a Fulbright Scholarship in 1984-86. In 1982 Pierre Boulez invited him to work as a composer and researcher at IRCAM (Institute de Recherche and Coordination Acoustique/Musique), where he was appointed head of the Music Research Department in 1987. In 1990, he resigned to fully concentrate on composition and research. He taught composition at the Conservatoire National Supérieur de Musique in Paris and Lyon and since 1999 has been full professor of composition and computer music at the University of Music and Performing Arts (Musikhochschule) in Stuttgart, as successor to Helmut Lachenmann. A highly appreciated and active educationalist, he has lectured widely, has written several essays in a number of international reviews and is preparing a book on his own work with composer and musicologist Francis Courtot. Stroppa’s repertoire – among which several works for choir – includes works for concerts, music drama, radio operas and various special projects. In his compositions, he often groups several works around large cycles exploring specific compositional projects, such as a series of concertos for instrument and a spatialized orchestra or ensemble. He is often inspired by reading poetry and studying ancient myths, and by the personal contact with performers. His keen interest in sound and space has often led him to rethinking the placement of the performers on stage so as to achieve a spatial dramaturgy that will be revealed and highlighted by the unfolding of the music. Photo by Mauro Fermariello, © Casa Ricordi, Milano.